Buy car parts online: German quality, Low prices, Free shipping! Febest GMBH is a company founded in 2007 in Germany, which produces spare parts for Japanese, Korean, European and American cars. Febest has no competitors in the world for the range of produced spare parts in the category of "Rubber Parts". 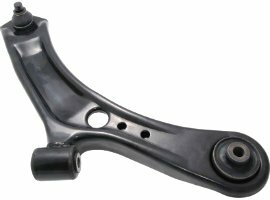 It also produces spare parts in such categories as "Braking System", "Bearings", "Body Elements", "CV Joints", "Clutch System", "Suspension", "Universal Joints" and others. One of the main directions in the development of Febest is production of subunits and selling them separately (e.g. arm bushings separately from the arm). Many of such details in the market are only offered by Febest! Thank you for choosing Febest! The official Febest online shop offers more than 11,000 articles of spare parts that are analogues to over 50,000 original spare parts. 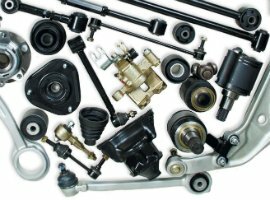 The production of Febest is divided into 9 categories: "CV Joints", "Rubber Parts", "Body Elements", "Braking System", "Clutch System", "Suspension", "Bearings", "Universal Joints" and "others". The catalogue is constantly updated - the company produces 100-200 new products every month. 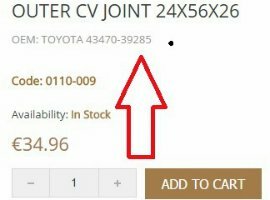 You can search for spare parts by the car model or by the category, but the surest way to find the exact car part for your car is to search by the original equipment manufacturer number (OEM number). Choosing us, you choose German quality, low prices and fast delivery! - FEBEST processes meet the required quality standards which is assured by the ISO 9001:2015 certificate. - Best prices. Significant savings on repairs! - Secure payment via the popular PayPal payment system. - Free shipping within Europe! Free 48 hour shipping on orders over 20 EUR! - The entire Febest catalog is represented on TecDoc.